A fan of Jane Austen since having to study Pride & Prejudice for her English Literature O Level examination in 1978, Cassandra has been indulging her passion for all things Austen for many years. Having long wanted to be a writer, the two came together in recent years, and she is now publishing her endeavours in the hope that readers will enjoy delving into her stories as much as she enjoyed creating them. A former college lecturer and then PA, she is British born and bred (though she did live in the USA for five years). 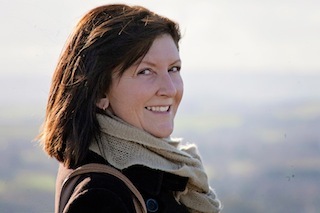 Cassandra has two grown up children and splits her time between North Yorkshire, where she lives with her husband and two cats, and Regency England, where she lives with her characters. 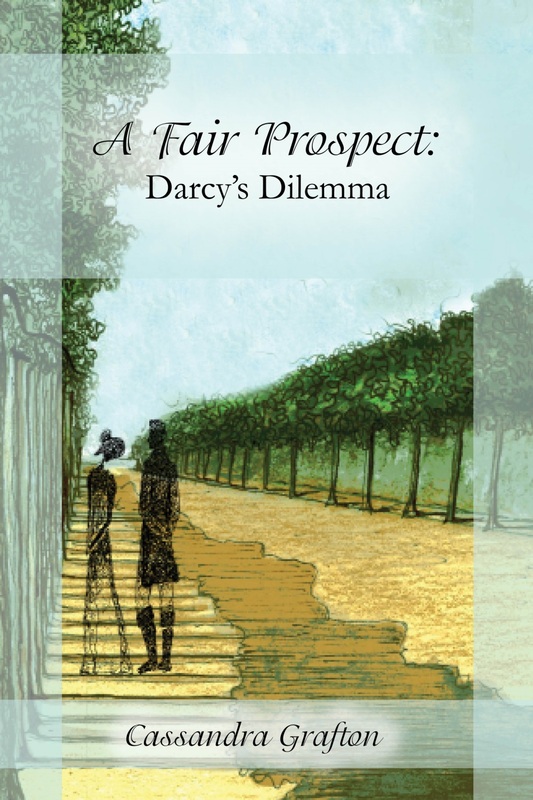 A Fair Prospect is a three-part tale of Darcy and Elizabeth. 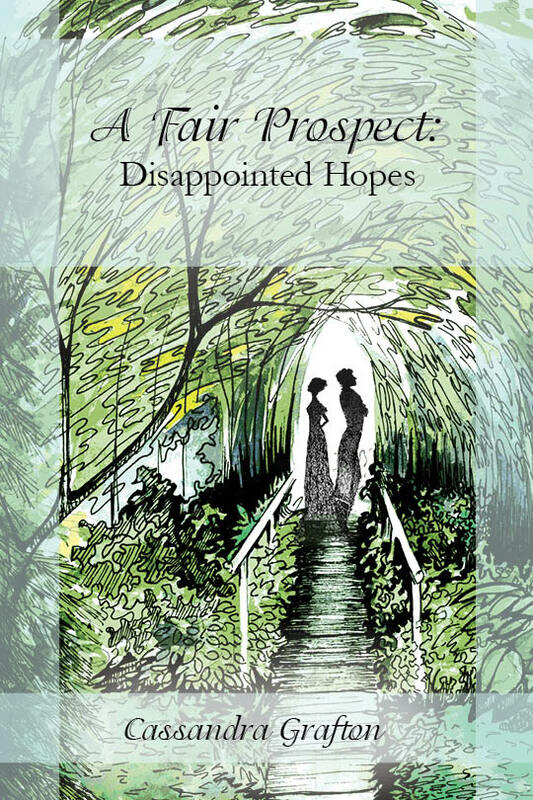 Fitzwilliam Darcy returns to London a devastated and humbled man following his rejection by Elizabeth Bennet. The lady, meanwhile, is battling the unprecedented feelings stirred by having endured an innocent but intimate encounter with the gentleman in the aftermath of his proposal. Soon on her way to Town herself for an unanticipated stay, she is comforted by the presence of an old family friend, one Nicholas Harington – the son of a wealthy family whose position in society rivals that of the Darcys of Pemberley. Circumstance soon throws Darcy back into the company of Elizabeth, much to their mutual consternation, and also introduces him to Harington who has emerged as a potential suitor for Elizabeth’s hand, a union that is viewed as a fair prospect by all – except, perhaps, Darcy himself. 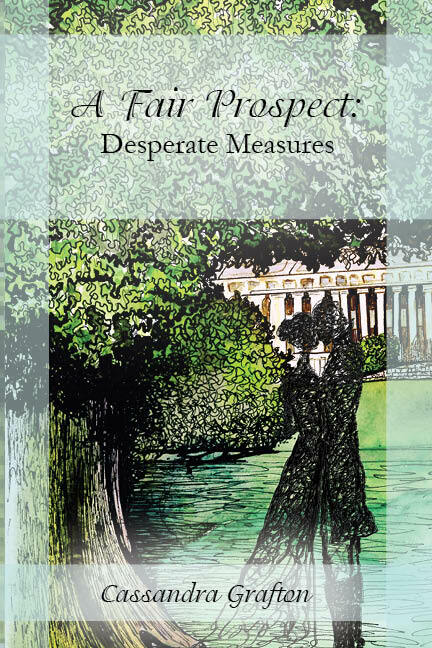 Thrown together by circumstance in London, and with his friend, Bingley, in hot pursuit of the eldest Miss Bennet, Darcy finds his best endeavours to relieve Elizabeth of his unwelcome presence come to naught. As the encounters continue, they seem to be developing a better appreciation of each other, but is there any future for them in the face of their previous misunderstandings, and what of Harington, the man who is deemed a fair prospect for Elizabeth’s hand? As further evidence arises of a bond existing between the couple, Darcy faces a dilemma: should he remain in Town, or should he make himself scarce? Which decision will lead to the least heartache: to never lay eyes upon Elizabeth again or to watch the woman he loves being courted and wed by another? Reeling from the news of Elizabeth’s engagement to Harington, and desperate to avoid any possible further encounter, as much for the lady’s sake as his own, Darcy seeks distraction, removing to the West Country with his sister and cousin where they prepare to embark on a journey to Dublin. Elizabeth, meanwhile, is struggling with an inexplicable lowness of spirit following the gentleman’s removal from Town. Fate, however, has unfinished business with them both, and before long the lady is travelling to the West Country herself. As Darcy strives to leave the past behind, will Elizabeth realise where her heart truly lies and, if so, can she find a way of letting Darcy know her feelings have changed, or is it too late for them both?